These sleek and sophisticated sandals are the epitome of class. 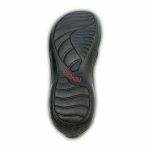 The strap design is incredibly flattering and make these sandals the trendiest orthotic friendly shoes on offer. In true Revere Shoes fashion, they feature a removable insole to fit your own orthotics.